Most of your family gatherings happen in your kitchen. Kitchens range from small and simple to big and fancy. Modern ides are being used to design kitchen where maximum space utilization is done and same goes with kitchen cabinets. 1 Do you really need to paint your kitchen cabinet?? Do you really need to paint your kitchen cabinet?? The first thing which should be decided is that is there a need to paint your kitchen cabinet or not. If you are already painting your walls and if it is going well with your current cabinets, then you don’t need to paint your kitchen cabinets. Well, if you really need to do something with your kitchen cabinet, then you must decide whether to change the kitchen cabinet or to paint them. Now the question is, how will you decide whether to change cabinet or not? This highly depends on the surface of your cabinet. You need to check what the existing finish on your cabinet is. The type of finish on your cabinet will play a significant role. Replacing cabinets can be expensive as compared to painting them, but under some circumstance you will have to replace them. Smooth finishing in kitchen cabinets is the current trend, but this was not the case couple of years back. So if your home is old enough, you will have to replace cabinets. 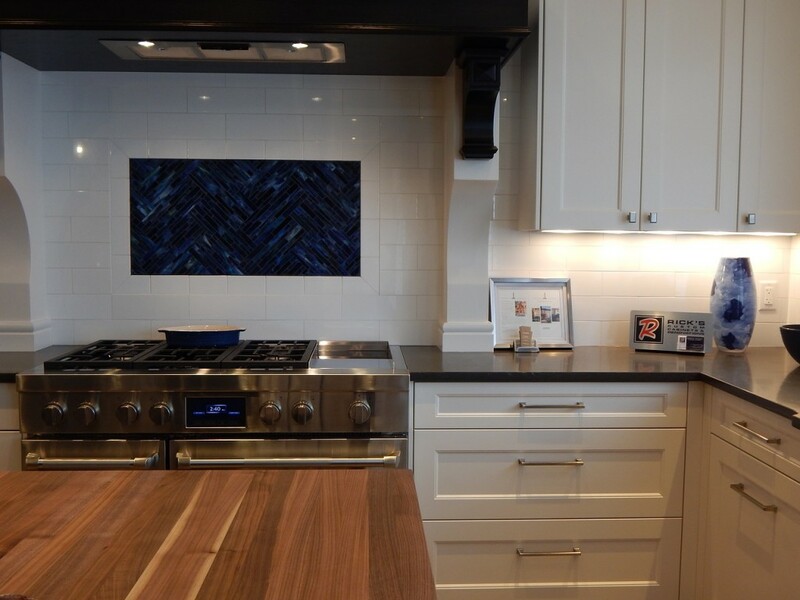 The reason behind replacing cabinets is that painting on a smooth surface is easy, cost effective as well as long lasting. Uneven surfaces or rough surfaces will be very difficult to paint and it will not be much effective. The best way to decide if your cabinet is worth painting or not is by taking your cabinet to any local paint supplier and he/she will definitely help you out. Also they can suggest you if regarding what you need to paint your cabinet. In olden times, wooden brownish color used to be the only color which people preferred but with changing times, now you have a variety of options. The only thing which is yet common with kitchen cabinets is, people are still using single color. Your kitchen cabinet does not need to be white, you can use dark shades too, there are no limits when it comes to painting kitchen cabinets, you can use the same color which you have used for painting walls. Actually, if you use dark shades, you will face less troubles when it comes to cleaning. Paint applicator [paint sprayer, roller and brush]. You also need some materials which will be used mainly for cleaning the surface of cabinets as well as to overcome painting difficulties. Normally, materials will not cost you much as compared to painting tools. Tools will not be in large quantity and regarding material, you need to consult a local supplier as per your requirement and kitchen area. First of all, you need to remove hardware. Removing hardware can be a challenging task your kitchen cabinet is old enough. If your kitchen cabinet is just around 10 years old, then you will not have to put up much effort. Once you remove all hardware, you need to clean surface thoroughly. Use clean and soft rag to clean surface with some Trisodium phosphate (TSP) , you can also use scrub to wipe it down to remove oil and wax. Be careful while cleaning as it is crucial. In case there remains any sort of dust or wax, it will affect your painting and will be permanent. Always remember that paint refuses to abide with dirt or grease. Also, do not forget to apply painter’s tape or masking tape wherever needed, to protect the hinges, in short apply masking tape to all places from where hardware has been removed. Once you are very much sure that the surface is clean, sand painting surface. This will open the finish surfaces. If there are any grooves or shaping issue like dents, you will have to fill it up with quality wood filler. Once you are done with sanding, the next step is primer. Applying primer will be helpful as it will absorb paint and will reduce the overall cost of primer. So using primer is a sensible choice. As discussed earlier, kitchen cabinets are glossy, so use stain-blocking primer for glossy type surfaces. Use primer of good quality, it will be costly but will always give you better results. You need small roller for smooth finish. Here we come in action, before painting, check again if there is any dust or uneven surface which has to be looked upon. Here you can use paint sprayer for painting the surface. Benefit of paint sprayer is that it consumes less amount of time and paint is applied evenly over the surface. Only thing that has to be kept in mind is that paint sprayer should not cross the pre-defined paint area, else it crosses the boundary. Roller is used to paint the surface evenly, just need to take care about bubbles. Once these bubbles are taken care of, roller will give outstanding results. Roller is used specially for a smooth finish. The most commonly used is brush, the main advantage of using brush is when you want to set painting boundaries or you want to do some specific sharp work. Brush was the only option available before roller or spray paint was invented. So, according to the surface, finish and usage, all these above tools should be used for painting. For outstanding results, you should at least apply two coats of paint. After applying first coat of paint, let it dry and then sand it with a clean fine paper. Once again, check for any kind of dist or dirt and wipe off with damp cloth. Now apply second coat of paint, let it dry and then admire your artwork. People normally get attracted by looking at kitchen brochures and its designs, which show extra gloss on cabinet surfaces. 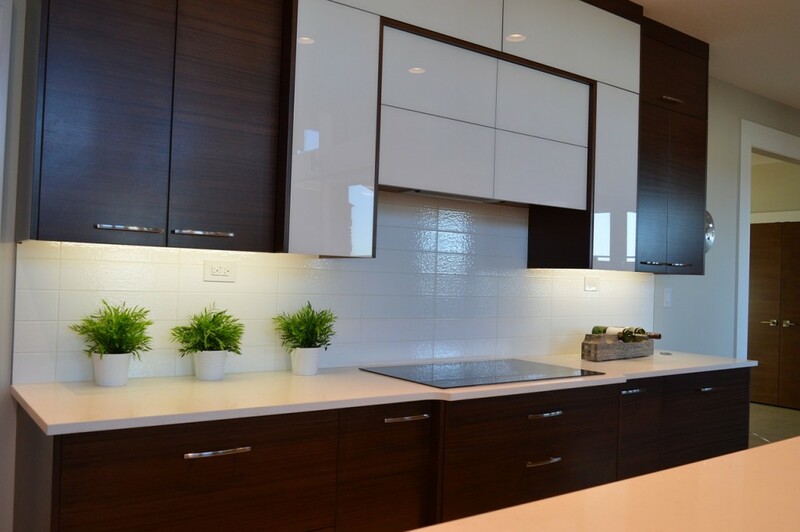 In reality, gloss depends a lot on cabinet surface as well as lighting conditions. There is always a difference of twenty five percent between the image shown in brochure and the final outcome. If you use cheap paint, you will never get desired outcome. Using cheap paint will lead to unsatisfactory results. You would have given your best effort but the paint quality was not worth it. So always use good quality paint. I understand that it becomes very much annoying to wait for days to see the final outcome. You would have put in a lot of effort to paint your cabinets but then you need to wait to let them dry, if your climatic conditions are too humid and dark. Waiting is preferred rather than repainting some part, it happens a lot when you don’t wait and you put up your cabinets, which leads to smudge. So it’s always worth waiting rather than hurrying up. As reminded many times, your painting surface should be dust free as paints never work out well with dust. Also, it will finally lead to uneven surface. Many people avoid or forget using primer. What happens next is, your kitchen will look awesome and amazing for the first three weeks or months, but later on knots in the wood will give up, which means knots will start bleeding. You should always choose right color, research various shades which are compatible with your overall kitchen theme, try using same family color. You will surely repent for choosing wrong or non-matching color. Never think that you can paint your kitchen cabinet without practically removing them, if you try painting cabinets without removing them out then you will end up with uneven and incomplete edges. Also you should never paint everything for example: hinges. People save time by painting hinges and other stuff but it is not a long term fix. Your cabinet will start to chip if you do that. So by just taking care of all such small issues, you will be able to create wonders with your kitchen cabinet .Be creative, be colourful and be artistic.